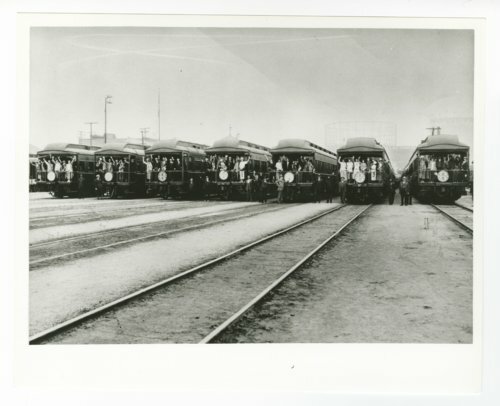 This photograph shows passengers standing on the rear platforms of the Atchison, Topeka and Santa Fe Railway Company's "California Limited" in Los Angeles, California. These passenger trains were introduced on November 27, 1892. For a number of years they traveled from Chicago, Illinois to Los Angeles, California until service was stopped on June 15, 1954.